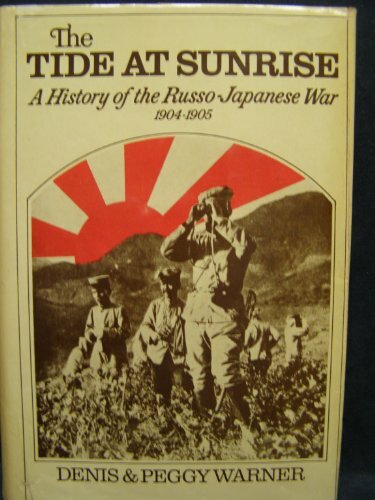 The Russo-Japanese war is something we never hear about, and yet, is a war of extreme interest to me. In the confusing web of alliances, disagreements, and events which resulted in World War I, the civil strife that led to the rise of the Soviet Union, and Imperial Japan's policy of total Far Eastern supremacy, I feel this war often gets overlooked by modern historians—which is a shame. Following the First Sino-Japanese War (from 1849-1895) and Japan's aggressive expansion into the Korean peninsula, Tsarist Russia made several moves to consolidate its influence in the region. It was no secret that Japan saw itself on the same footing as the Western countries of the world, with Great Britain being major inspiration to them. So in an effort to ward off any Japanese encroachment, the Russians brokered a deal with the Chinese government to lease land in the Liaoning peninsula, north of Korea. It was there, in the port city of Dalian, that the Russians constructed the fortress Port Arthur. This port served to fill a role that the Russians desperately sought after. At the time, the only operational harbor in the Far East was Vladivostok—which, due to its location, could only hold boats during the summer and warmer months of spring. Dalian was a warm water port, though, and so it became the home of Russia's Pacific Fleet. Unfortunately, this did little to help Russia in the long run. While fears of Japanese imperialism were present in the minds of the Russians at the time, the Japanese had the same concerns about Russian imperialism. Of major note was Russia's influence in the Manchurian region and Sakhalin island which is located directly north of the north most Japanese islands. Tsarist Russia's influence and expansion into Siberia and Manchuria evoked an image of unbridled imperialism in the mind of the Japanese—to them, it was merely a question of how long it would be until Russia came for them. Initially, diplomacy seemed to be an option. Japan suggested that Korea and Manchuria act as a buffer zone between Japan and the Russian-owned Siberia. Back-and-forth negotiations ensued. For nearly a year, proposals and counter-proposals were met with disdain by both parties, and by early 1904, the Japanese government decided that Russia had no plans of settling the matter diplomatically. On February 6, 1904, Japan severed diplomatic ties with Russia. Two nights later, on February 8, Japan declared war. Three hours before the declaration reached Moscow, however, the Imperial Japanese Navy began its first action of the war—the assault on Port Arthur. In the middle of a cloudy night, Admiral Heiharchiro Togo led his ships towards the harbor and ordered the fleet to break into two formations to commence attack. The Russians were caught completely unprepared, as most of the Naval Officers including Admiral Stark, were off partying as the attack began. The naval assault raged late into the night and into the early morning of February 9. By the end of it, the fortress of Port Arthur had taken considerable damage, and the Russian Pacific Fleet were down seven ships from its original twelve. With the Russian Pacific fleet in disarray, Japan began to conduct its land invasion, pushing up north to the Sakhalin island. With Russia's far eastern troops barely holding the line, and in some places collapsing under the Japanese assault, the Russian military decided to send the entire Baltic fleet around the globe to help relieve the Pacific fleet, and hopefully break the blockade of Port Arthur before the fortress was overrun. And now things turn almost comical. The Baltic fleet set out at once, making its way towards the Sinai peninsula to pass through the Suez Canal. For whatever reason, as the Russian fleet pulled into the Dogger Bank off the coast of England. Against all logic, the admiral ordered the fleet to fire upon any ships that even came close to the fleet. Late at night, on October 21, the supply ship Kamchatka radioed that it was under attack. The war ships at the front of the line flashed their searchlights and spotted several dozen boats. They began to fire immediately, causing the other ships in the line to go on high alert. As the other ships in the fleet began to open fire, chaos spread, since no one was quite sure what was happening. In the end, the Russians not only ended up firing on some of their own boats, but it also turned out that the group of boats they had initially fired on were British fishing ships. And to top it off, the ship that sent the Kamchatka on alert in the first place was simply a Swedish trawler. Several British and Russian citizens died in the incident, and it nearly caused Great Britain to declare war on Russia. While conflict was averted, the British disallowed the Russian navy from using the Suez Canal. So now the Baltic fleet would have to travel all the way around the entirety of Africa if they hoped to reach the Far East. This trip was marred with disaster for the Baltic Fleet. As the ironclad vessels traveled farther than such ships were ever meant to go, the engines began to break down. Damage to the hulls accumulated. And to make matters worse, disease was starting to spread amongst the crews. As the ships pulled into a port of French-controlled Madagascar, the admiral realized just how dire things were. Deciding that the best way to raise the men's spirits would be to run a quick war games, he set about preparing for it. Targets were laid out in the open water, and the fleet began to advance towards them, ready to put their canons to the test. But before even a shot could be fired, one of the vessels burst into flame from yet another engine malfunction and had to be evacuated. As such, the war games were canceled and the fleet continued on its way. By the time the fleet reached the far east, news came to them that Port Arthur had fallen to the Japanese. Realizing now that the only other port they could reach was Vladivostok and that they would need to resupply before they could engage the Japanese, the remaining officers of the navy had to weigh what few options they had. The path to Vladivostok put the fleet right between the Japanese isles and Korea. but to go around Japan would take far too long. So they decided to try their luck, and traveled under the cover of night. As the remains of the Baltic fleet passed by the Japanese islands, the admiral ordered that all the lights on the boats be snuffed out. But due to the rules of war, the hospital vessels had to keep its lights on at all times so it wouldn't be fired upon. This of course, allowed Japanese sentries to spot them right away, and within the hour the Imperial Japanese Navy was on the move, ready to engage the battered Russians. The battle of Tsushima, as it would become known, was absolutely humiliating for the Russian Empire. Eighty-nine Japanese vessels went up against 38 Russian ships, and through the entire engagement only three of those Japanese vessels were sunk while 21 Russian ships met a watery grave. Seven Russian ships ended up captured, and six more were damaged beyond fighting capacity. This naval engagement practically marked the end of the Russo-Japanese War as the Japanese now had complete control the seas, and the Russians could barely hold back the tide of soldiers pouring onto land. Tsar Nicholas II was absolutely humiliated by the defeat, as the largest nation on Earth lost to what seemed a fledgling Empire. The war was so bad for the Russians, that the U.S. President Teddy Roosevelt stepped in to help broker a peace in an attempt to at least help the Russians save a little face. In the end, the Japanese managed to push Russian influence out of Asia and set the stage for their conquests of Korea, China, and Manchuria in the lead-up to World War II. The Russo-Japanese war also marks the first time that an Asian country ever won a war against a Western power and no doubt helped fuel the Imperialistic fever that burnt brightly in Japan at the time. It built confidence in their navy and in the country as a whole and no doubt eased some of the national skepticism as the Emperor and his confidents considered war with the British, and the United states. The startling defeat also helped plant confidence in the generals of Austria-Hungary and Germany, who considered Russia to not even be a threat as they declared war on Serbia, and World War I began in earnest. Of course, things wouldn't quite go their way in the end. Battleship Potemkin (1925), a silent movie about a 1905 mutiny on a Russian battleship, which ends up on almost every list of best films ever made, really illustrates what a toll the Russian defeat took on that country’s military morale. 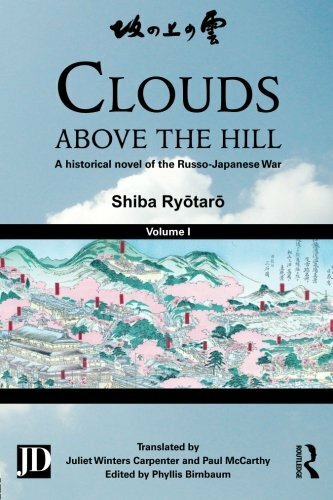 Another scholarly read, Clouds above the Hill: A Historical Novel of the Russo-Japanese War—one of Japan’s best-selling novels—has been translated into English and offers a really interesting look at the Japanese perspective on the conflict and its national importance.